We manufacture every ceiling tile we sell right here in historic Graton, California, which is located in the heart of wine and apple country about an hour north of San Francisco. "Why Graton?" you might ask (probably not, but work with us here). Once you've been here the question quickly becomes "Why anywhere else?" 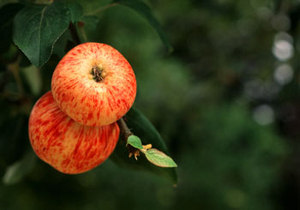 The railroad came to our little town about a hundred and ten years ago, and in the century that followed Graton's fortunes waxed and waned as the agricultural industry, primarily built around the indescribably yummy Gravenstein apple (seriously... go eat one), ebbed and flowed. Railroad passenger service ended in 1932, and shortly after we arrived on the scene in 1980 the railroad literally pulled up stakes and left town for good - the apple business had moved elsewhere. What remained was a mostly vacant main street, several hundred acres of dwindling apple orchards, and the empty canneries and dryers that used to prepare Gravenstein apples for the world to enjoy. One of those beautiful old apple facilities became our home. We like to think of ourselves as early adopters. We embraced recycling before most in our industry came on board - not only recycling our materials, but actually recycling the building we come to work in every day; converting it from an empty shell to a safe and modern manufacturing facility that still reflects the character of its glorious past. And we adopted the town of Graton, supporting the local economy with good jobs, and seeing the potential that over our thirty-plus years here has become fully realized. What was once a mostly forgotten backwater is now a destination, with great restaurants, fine wineries, and an easy country ambiance that is pretty hard to equal. Though the railroad left town a long time ago, its modern equivalent, the World Wide Web, showed up about the same time we did. Now instead of providing delicious Gravensteins via train to the dining tables of the world, we provide designer ceiling tiles via the Internet for the ceilings of the world. All from right here in beautiful downtown Graton! 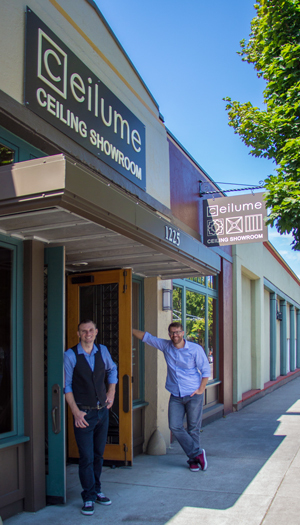 Ceilume has set-up shop in PDX! Our new ceiling showroom is located on SE Grand Avenue, smack dab in the middle of the Central Eastside Builders District. 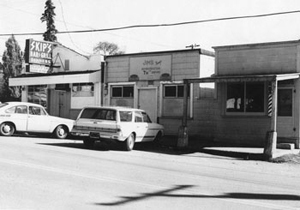 We're just a block south of Rejuvenation, between Salmon and Main streets.